Peter Bevelin‘s first book, Seeking Wisdom from Darwin to Munger, is a one of the best books you’ve never heard of. He’s just another book, A Few Lessons from Sherlock Holmes (Kindle), aimed at those who want to improve their thinking. I’m a big fan of Sherlock Holmes and Peter is not the first person to explore the wisdom that can be drawn. Maria Konnikova’s book, Mastermind: How To Think Like Sherlock Holmes, takes a deep look at Sherlock Holmes’s methodology to develop the habits of mind that will allow us to mindfully engage the world. Peter’s book is shorter and encourages you to draw your own conclusions. 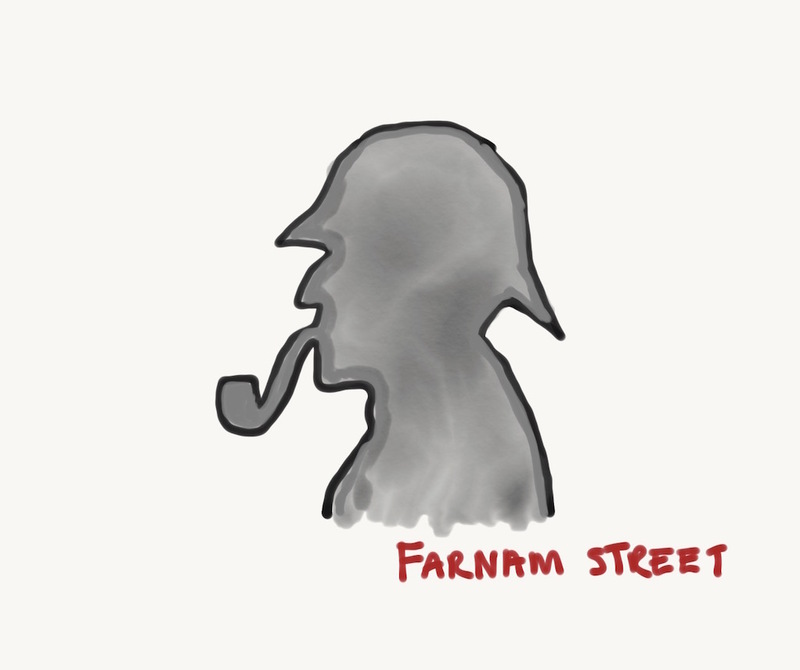 He’s distilled Arthur Conan Doyle’s famous detective Sherlock Holmes into principles and quotes. This book will appeal to both Sherlock fans as well as those who want to think better. It contains useful and timeless methods and questions applicable to a variety of important issues in life and business. We could all benefit from A few lessons from Sherlock Holmes. Let’s look at some of the lessons Bevelin brings to our attention. Many ideas over a wide range of disciplines helps us gain perspective. I consider that a man’s brain originally is like a little empty attic, and you have to stock it with such furniture as you choose. A fool takes in all the lumber of every sort that he comes across, so that the knowledge which might be useful to him gets crowded out, or at best is jumbled up with a lot of other things so that he has a difficulty in laying his hands upon it. Knowledge doesn’t make us wise. Make sure facts are facts. Don’t miss the forest for the trees. Small things may be important. What we see is all we think is there — What often leads us astray in an investigation is that we adopt the theory which is most likely to account for the “visible” and found facts but what if the important is left out? What is not reported, withheld, hidden? Take time to think things over. Peter’s books tend to become very hard to find a few months after they are released. Used editions often sell well above cover price, so if you’re interested, I’d encourage you to order A Few Lessons From Sherlock Holmes today.